Cave Tools Smoker Box is an affordable stainless steel smoker box that allows you to use your barbecue as a smoker. Smoking your own meats, such as chicken, beef, pork and fish is a fun experience for any weekend warrior. A smoker box can allow you to save hundreds or thousands of dollars on an expensive smoker. smoker box for BBQ grill is the perfect alternative if you don’t have the budget for an expensive smoker, that can cost $500 to $2,000 or more; or you don’t have the space for a barbecue and a smoker. The dimensions are just 9 x 3.5 x 1.5 inches, which allows this small smoker to fit on just about any size barbecue. Cave Tools smoker. It is made from thick stainless steel and sturdy hinges, that will prevent warping and prevent the lid from coming off. smoked the meat on the BBQ, it had a nice flavor from the wood. Is is as good as a $1,000 smoker? Probably not, but it did the job. The stainless steel smoker box is affordable for any budget, costs less than $25, and can fit on any gas or charcoal bbq. How Does the Cave Tools Smoker Box Work? affordable smoker box for BBQ grill, you will first want to add smoking chips to the smoker. Jut open the lid and add 2-3 cups of your favorite smoking chips. Spread them out in the smoker. You do not need to soak the chips before use. I didn’t soak the chips, and they worked perfectly. They smoldered and didn’t catch fire, because the chips never come in direct contact with the barbecue flame. Take 15% off the Cave Tools Smoker Box. You can soak the chips if you prefer. This may increase the time before chips begin to smoke..
You can add different types of wood chips to the smoker to create a variety of flavors for your meats or fish. Cave Tools smoker box, I used a cup of apple chips and hickory chips to develop a sweet and smoker flavor in the chicken. I have a propane gas grill, so I placed the smoker box on top of the burner before I ignited the burners. If you have a charcoal barbecue, you will want to allow the charcoal briquettes to get hot and turn white before placing the smoker on the coals. If using a gas grill, turn the heat to the highest setting until the smoker box begins to start smoking. This should take about 20 minutes, depending on the quantity and type of wood. Place the meat or fish around the smoker on the BBQ grill. Once it is smoking sufficiently, turn the heat down to medium or low, so the smoke and flavors from the wood can penetrate the meat or fish as it cooks. You don’t want the food to cook quickly, or the smoke will not do it’s magic and sufficiently flavor your food. Try not to open the lid and peek at the meat or fish while it is smoking. When you need to turn the meat or fish over, try to do it quickly, so the smoke doesn’t all escape. This stainless steel smoker box, from Cave Tools, is made from thick gauge metal that won’t warp under the high heat and flame of your barbecue grill. This smoker will give you several years of use. The hinges will prevent the lid from coming off or causing injury. The smoker box can handle up to 3 cups of wood chips. Just flip the lid to load the wood chips, or add more wood chips if needed. The large holes on top let ample amount of smoke to escape and permeate the meat with flavors from the wood smoking chips. There are no holes on the bottom, which prevents the wood chips from catching fire. Turns your barbecue into a smoker. 25% thicker stainless steel reduces warping. Many cheap smoker boxes warp immediately, but the Cave Tools smoking box won’t. Has a hinged lid for easy access. You can easily add more wood chips if you need to create more smoke. Large capacity to hold up to three cups of wood chips. Fits perfectly between flavorizer bars and grill grate or placed directly on top of charcoal or gas burners. Access to download your free 25 page Barbecue Recipe Book. It includes sauces, rubs and recipes to grill meats, fish, seafood and vegetables. 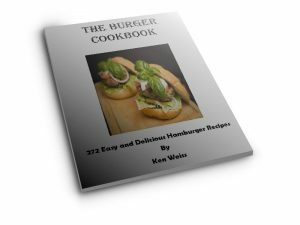 Free 25 page downloadable barbecue cookbook. Free Download Meat Smoking Journal iOS & Android App. Lifetime satisfaction guarantee. If at any point you are unhappy with your smoker box, you can return it for a full money back refund. durable stainless steel smoker. Thicker stainless steel is sturdy and reduces warping & increases the lifespan of your smoker box. 2. The Hinged Lid allows for easy access to the chips. Just flip open the lid dispose of the chips, or to add more when smoking. No fumbling to open or close a hot metal lid. 3. Large wood chip capacity. This allows you to use small or large wood chips for best smoking capability. 5. No holes on the bottom prevents chips from lighting on fire. Chips smolder Instead of burn to create more smoke. affordable BBQ Smoker comes with a lifetime warranty. If at any point in the life of your smoker box, if you feel like you received less value than what you paid for it, we will give you a full refund for your money. Just contact Cave Tools if you are not happy, but we are confident you will love your smoker box. Cave Tools Smoker Box comes with a free downloadable 25 page barbecue recipe book. Download instructions are included with purchase. This book is complete with 25 Professional BBQ Recipes for meats, sauces and rubs. Make your own sauces and rubs without the unhealthy ingredients of store bought bbq sauces. When you download your free recipe book, you also get a free meat temperature guide with the best cooking temperatures for your meats, to ensure your meats are cooker thoroughly. I gave this as a gift. The cook loved it. Great product, I use it at infrared grill, still produce a lot of smoke, don’t have to soak chips at all. Love this smoker box for my gas grill. It’s built well and I’ve used it 20+ times. My wife asked if I was going to smoke everything. Maybe! Love this BBQ accessory. Love smoking ribs! Nice addition to the grill…smokes for about 15 minutes, The smoke adds a nice depth to the flavor of the grill. Very well built. I expect it to last a long time. Smokers can be quite expensive costing hundreds or thousands of dollars. This Cave Tools Smoker Box costs less than a hundred dollars, and works right on your barbecue grill. You can buy the Cave Tools Smoker Box from the Cave Tools website here. buy the smoker box at Amazon.com. This is amazing! Thank you for sharing this. does wood really add flavor to the meat? That is nice information shared in the post. It is so helpful. Great article! i found the great things that i need. Thanks for sharing! Great post! , It’s all just so beautiful. Thanks for sharing details on cooking tools that are eco-friendly. It was interesting seeing your process of overhauling your cooking utensil drawer. It’s so gorgeous – I love everything!